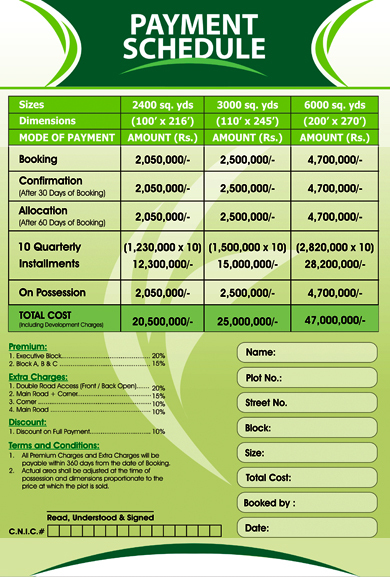 The marketing services are provided by Star Marketing (pvt) Limited, which also undertakes the booking of these plots. The booking started earlier in the past month and the last date given for application is 31st January 2014. 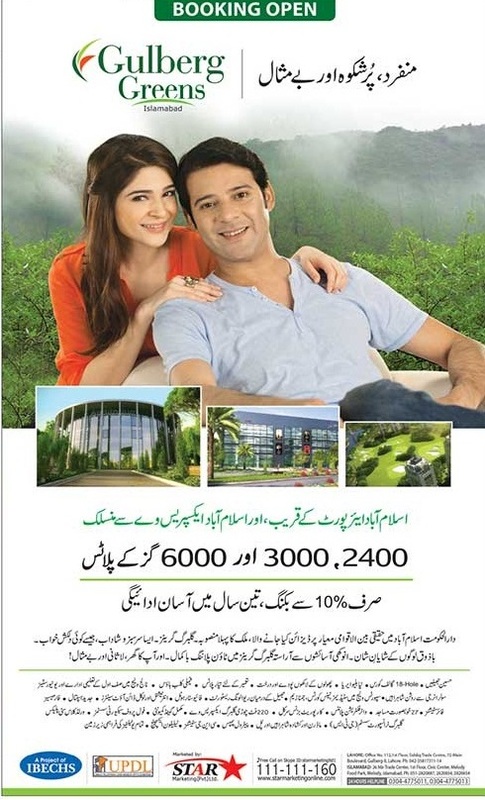 Plots of 2400 Sq.Yards, 3000 Sq.Yards and 6000 Sq.Yards are available for booking at 3 Year Installment plan. The prices for these farm houses are kept a little higher, but it is well justified with the picturesque amenities associated with the project. The Payment Schedule as given by Star Marketing (pvt) limited is attached below, both in PKR and USD currencies. Booking is going on successfully but prices mentioned by Star Marketing are a little higher than actual booking price. 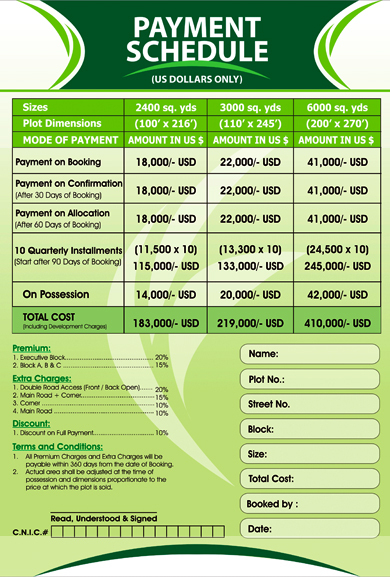 Actual Booking Prices are about 10% less than the above-mentioned prices of plots. If you would like to book Plots in Gulberg Greens at less prices, You can contact us for booking directly through email or phone given in our Contact Us Page.